This morning, UFC president Dana White appeared as an in-studio guest on ESPN’s SportsCenter and revealed some intriguing information regarding his stacked light heavyweight division. 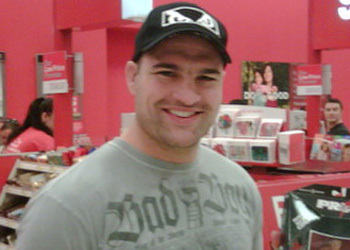 The promoter reiterated that Mauricio “Shogun” Rua, the Octagon’s reigning 205-pound king, will be sidelined through the first half of 2011 after having his knee cut open for the third time. The fact that Shogun will be firing blanks has been well documented, however White also decided to drop the top contender bomb on the MMA world. “He just had knee surgery. His other ones have been in Brazil and we did this one in the United States with the best doctor in the country,” White stated. “He’s recovering well. We’re looking at mid-Spring/early summer for his return, he’ll fight Rashad Evans. Evans owns an impressive 15-1-1 professional record and was last seen handing Quinton “Rampage” Jackson an uneventful loss at UFC 114. It was his second straight win, both by way of unanimous decision. Prior to his current streak, the former light heavyweight champ lost his strap to Lyoto Machida after getting slapped silly at UFC 98. There was chatter of a possible interim title while Shogun was on the mend, however White quickly dispelled those rumors the last time he appeared on ESPN. Shortly after last month’s interview, Machida announced he would be facing Rampage at UFC 123 on November 13th. Although Evans’ Octagon accomplishments are vast, some are questioning if his recent performances warrant top contender status and a year-long hiatus. However, with both Machida and Rampage coming off losses – “The Dragon” lost the title to Shogun in his last outing – it’s tough to justify that a 5Round championship affair is the proper reward.